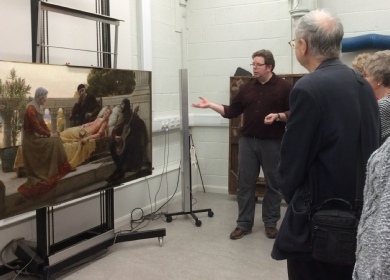 Our visit - on Monday 19th February 2015 - was to The Lancashire Conservation Studio in Preston. We were greeted with refreshments and then enjoyed a guided tour of the studio. 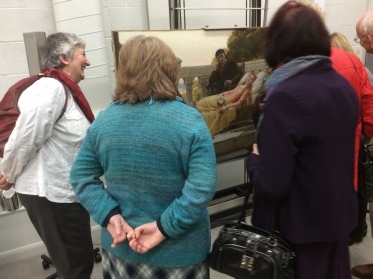 Society members saw the different departments of the studio where different items were conserved : furniture, textiles, paper, natural history and, of course, paintings because the chief reason for our visit this time was to see Towneley Hall Society’s anniversary project - the conservation of Towneley Hall’s painting, “How Liza Loved the King” by Edmund Blair Leighton. 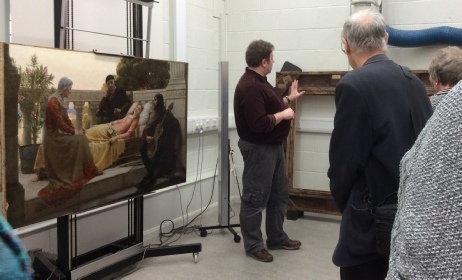 The intricacies of conserving an oil painting were explained and we were able to view the painting under ultra violet light which shows up problems such as old varnish and problem oil paints. Even the frame warranted historical interest.